Have plenty of things that meet that criteria on hand! That does take some planning, for sure. But it is so worth the effort. The kids feel better about their food choices and themselves. And I feel better sending them out the door for the day, knowing their energy for body and mind is coming from good stuff. Besides purchasing a variety of fresh fruits and veggies each week, I make sure to have plenty of fun healthy snack choices in the pantry, too. Do you know about NatureBox? 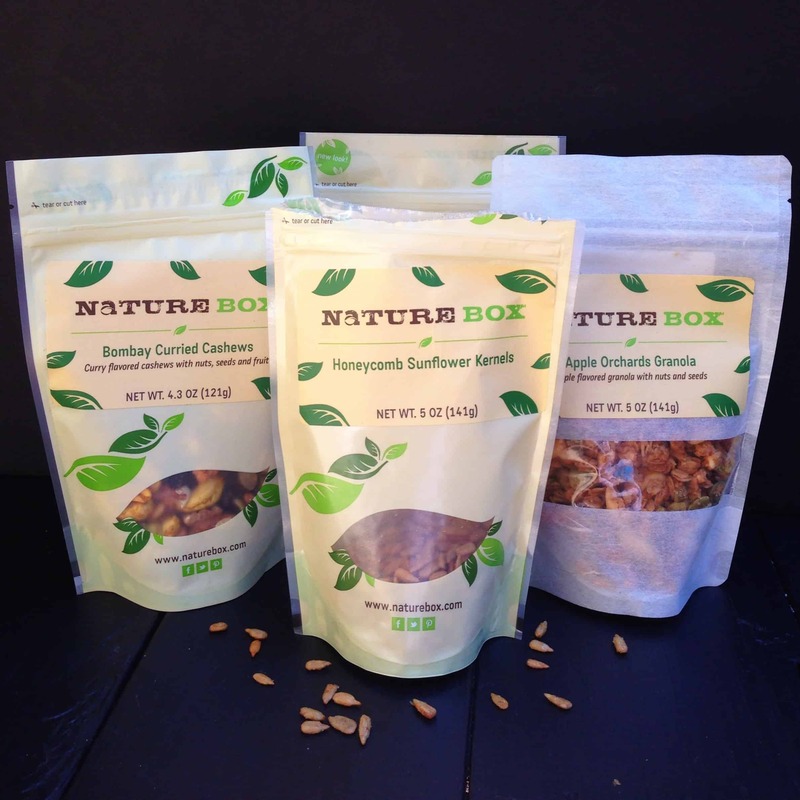 For a long time, I had been hearing alot of praise for NatureBox snacks. But it wasn’t until this past summer that I actually got to munch on them, when I stopped by the NatureBox booth at the BlogHer conference in Chicago. Everything I tried there, plus the items they sent home with me for later, was very fresh and very tasty. And I got seriously excited about the variety of snacks available. There are so many awesome sounding choices; I want to try them all!! 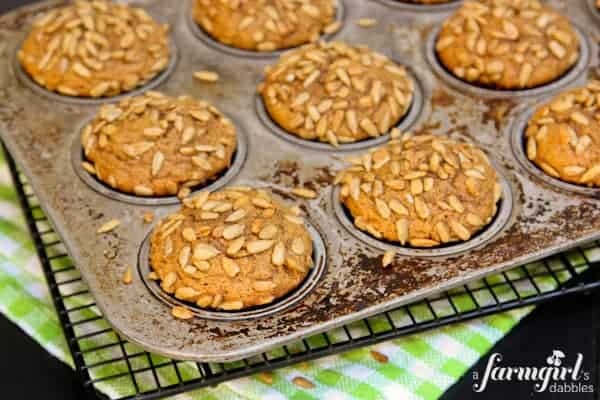 NatureBox’s snacks are a perfect choice for easy and healthy snacking, but they are also great for using in recipes like this one for Whole Wheat Pumpkin Muffins with Honeycomb Sunflower Kernels. I’ve always had a thing for sunflower seeds, and was immediately drawn to this snack bag. As I was baking up pumpkin muffins this past week, I knew I wanted to try adding a little crunch to them. The sunflower kernels, just slightly sweetened, did the trick beautifully. These muffins have served our family as breakfast, a lunch box snack, and an after school treat. 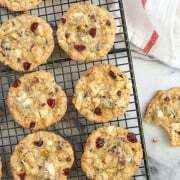 They are moist and delicious with fall spiced pumpkin, and the honeycomb sunflower kernels make them extra tasty and a more than just a little bit fun. Preheat oven to 350°. Spray a standard muffin pan with cooking spray or line with paper baking liners. Set aside. In a medium bowl, whisk together flour, sugar, salt, baking soda, baking powder, cinnamon, nutmeg, allspice, and cloves. Make a well in the center of the flour mixture and set aside. In another medium bowl, combine the pumpkin, butter, and eggs. Then stir in the vanilla. Add the pumpkin mixture to the flour mixture and stir until just moistened. Divide batter between the 12 prepared muffin cups. 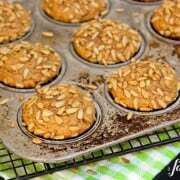 Sprinkle tops of muffins with NatureBox Honeycomb Sunflower Kernels, pressing them into the batter just a bit. Bake for 16 to 18 minutes, or just until a toothpick comes out clean. Do not over bake. Remove muffins from pan to cool on a wire rack. And I’m so happy to also share a fun NatureBox Giveaway with you! 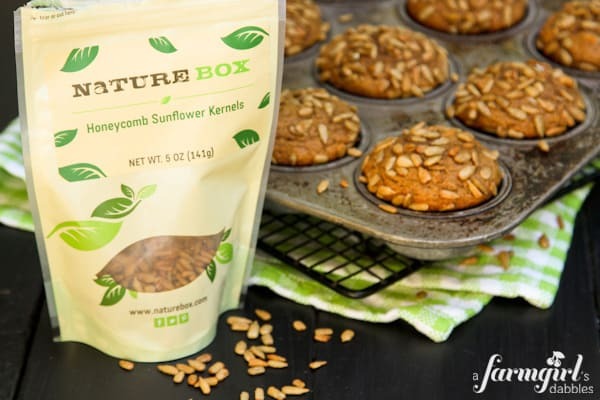 One reader will receive a 6-month subscription to NatureBox! How cool is that?! Just use the automated entry form below for your chance to win! Giveaway rules: This giveaway is open to US residents 18 years and older. One winner will be chosen at random and then notified by email. Winner will have 48 hours to respond and claim their prize, or another winner will be selected. A farmgirl’s dabbles and NatureBox are not responsible for lost or undelivered emails. Disclosure: This post and giveaway are sponsored by NatureBox. All opinions are my own. I love crunchy and savory!! 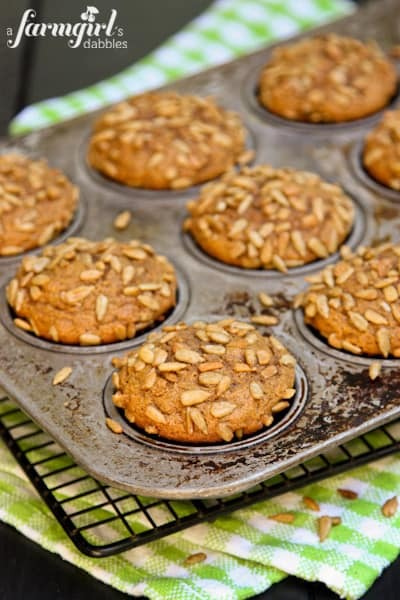 Love pumpkin & these look different than standard pumpkin muffins. I love sunflower seeds too, but don’t get them often. Looking forward to trying these out. Thanks! Definitely crunchy, but sweet too! A friend of my subscribes to NatureBox and loves it. I would love to try it! These look delicious, I’d love to try them! I’m always looking for something with a crunch! These have always caught my eye! I like my snacks either either sweet or savory but definitely crunchy! I like my treats crunchy and/or chewy, salty and/or sweet!! Can you tell I like treats?!?! LOL! sweet + salty = win! I like a mix of crunchy and salty! I’m definitely somewhere between a crunchy and soft consistency snacker. The combo works so well together. I love sweet and salty. That seems to be my recipe for snacking. I like to eat a little sweet and a little salty. I like it all. Unfortunately I like sweet and chewy but recently have had to change it to crunchy and savory for health. I love crunchy, salty snacks! They’re my weakness! My problem is I love them all. :) But I find that crunchy satisfies my need to nosh on more than just a few bits. Well, it looks like I’m not the only one….I like them all….crunch, chewy, sweet or savory! Seriously. I like all snacks and we love Nature box, I got my first box last month all very good. Yay! So glad to hear that, Heather! I enjoy the crunchy, salty and sweet snacks. Sweet, savory, crunchy, chewy…I love them all! Crunchy and chewy and every once in awhile with a little sweet. I love sweet snacks that are healthy!! I like crunchy, salty snacks. I like anything with the word snack in it. Doesn’t matter if it’s chewy, crunchy, purple and pink. I like it all!! I love my snacks chewy and sweet!! I love salty followed by sweet, it’s a vicious cycle! I love my snacks both sweet and savory …especially love chips when i have a salty craving and then chocolate chip cookies when i want sweet ! yuuuummm! I love pumpkin season! The muffins look lovely, and I love the idea of those kernels. I send seeds at least 3x a week with my kids, and I’m sure they’d love a change from the plain ol’ roasted ones. I am a sweet and salty snacker, personally. Sweet and Salty combined… nothing better! I love my snacks chewy and sweet! Or salty and crunchy! It is really hard to choose!!! I only want my snacks SWEET! I have to CHOOSE how I want my treats?? I like them all ways! If I had to choose, I like them a little sweet, a little salty, and chewy. Savory and crunchy for me!! I love my snacks crunchy, chewy and sweet. Thanks for the giveaway. I’d go with crunchy and savory! Always a winning combo in my book! I love chewy, sweet and salty! Love the sound of this recipe. I will have to try it. I too struggle with packing healthy lunches and snacks for my busy children. They hate school lunches and I prefer they not eat them anyway. Sack lunch can get boring quickly. Thanks for the tip. Give me anything chewy and sweet, and I’m a happy camper. I’m so intrigued by NatureBox! chewy snacks! 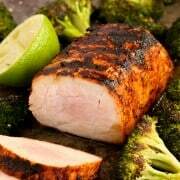 it tricks me into thinking im eating more! I like them crunchy chewy sweet and savory. I can’t choose LOL. Love them all. Savory, sweet, crunchy, chewy–all good! I love chewy, and sweet and salty! That would cover all the bases for me. Oh I love anything pumpkin and I’m so excited for pumpkin season! These look really great! 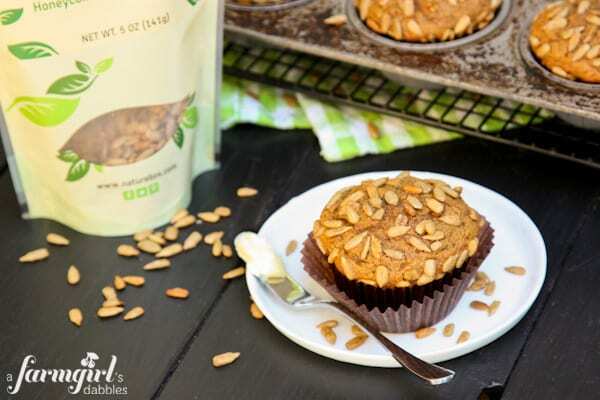 These muffins and the Nature Box snacks look delicious! I like both types of snack, sweet and salty but I have to say I’m usually a sweets girl. My favorite is a combination of the two, like a really good trail mix! I’d love to try out Nature Box as I’ve also heard very good things! I like sweet and salty! I like my snacks all the ways! If I have to pick, I say crunchy and salty. Thanks! I love crunchy salty snack! Sweet & chewy, all the way! I’m going to toe the line and say that I love the salty/sweet combo! I like any type of snack! lol But if I had to choose I would say chewy sweet. See, I like the sweet savory combo, but definitely crunchy! I like all sorts of snacks. It just depends on my mood whether it’s sweet or savory. Crunchy & savory, wait, maybe chewy & sweet. No maybe crunchy & sweet or better yet chewy & savory. I think maybe I just plain like snacks!! I like sweet and salty mixed! I love sweet and savory. I prefer a sweet and savory treat! Definitely prefer crunchy, and depends on my mood as to sweet or savory! I like my snacks chewy! If I have to chose just one it would be sweet and chewy. Would love either one. Never heard of these. Muffins look wonderful. I love crunchy snacks, and anything salty! YUM – I would love to try the sunflower seeds. Usually sweet, but it’s a toss-up between crunchy or chewy. The combo of crunchy and salty is my favorite. combination of sweet and salty is the best! I just love sweet AND salty . . . all in one! My favorite snacks are salty and sweet combined!! Love crunchy snacks too! Sweet snacks are my favorite…but healthy snacks are ideal! Crunchy and sweet! Like graham crackers. I keep hearing about nature box but have yet to try it out! These muffins look delicious. I love the addition of the sunflower seeds for some fun crunch! I agree with packing healthy and interesting lunches means having lots of choices on hand so the kids don’t get bored! 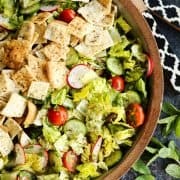 I love everything about this recipe!!! I also need to get on the Nature Box bandwagon – I’m loving their goodies I see people posting about!! I love sunflower seeds. These look delicious! That is a hard question, but crunchy and savory!